Can you believe it's the last day of February already? had some fun with white outlines and a couple of the new stamp sets! Wow, doesn't that look awesome?! I love the soft, subtle way she inked Full On Floral to create that chalky background. 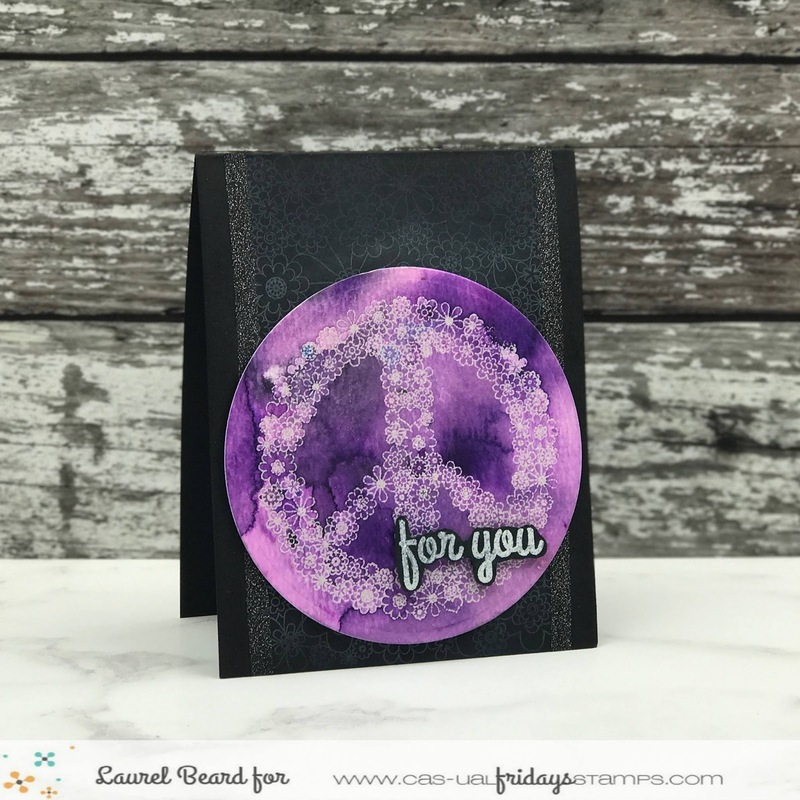 The white embossed Peace Out image is in a purple haze of inky color wash.
Full On Floral will be back in stock soon. My manufacturer is making them as fast as they can...along with 6 more awesome stamp sets! Mark your calendars to join us for the sneak peeks starting March 26th!